Do selfies and velfies make a good team? 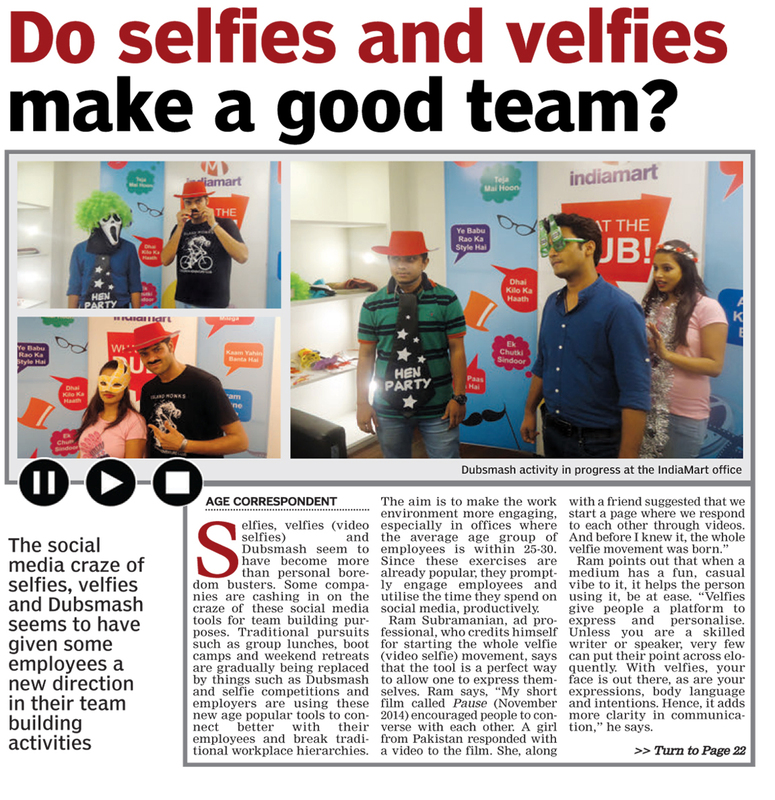 The social media craze of selfies, velfies and Dubsmash seems to have given some employees a new direction in their team building activities Selfies, velfies (video selfies) and Dubsmash seem to have become more than personal boredom busters. Some companies are cashing in on the craze of these social media tools for team building purposes. Traditional pursuits such as group lunches, boot camps and weekend retreats are gradually being replaced by things such as Dubsmash and selfie competitions and employers are using these new age popular tools to connect better with their employees and break traditional workplace hierarchies. The aim is to make the work environment more engaging, especially in offices where the average age group of employees is within 25-30. Since these exercises are already popular, they promptly engage employees and utilise the time they spend on social media, productively. Ram points out that when a medium has a fun, casual vibe to it, it helps the person using it, be at ease. 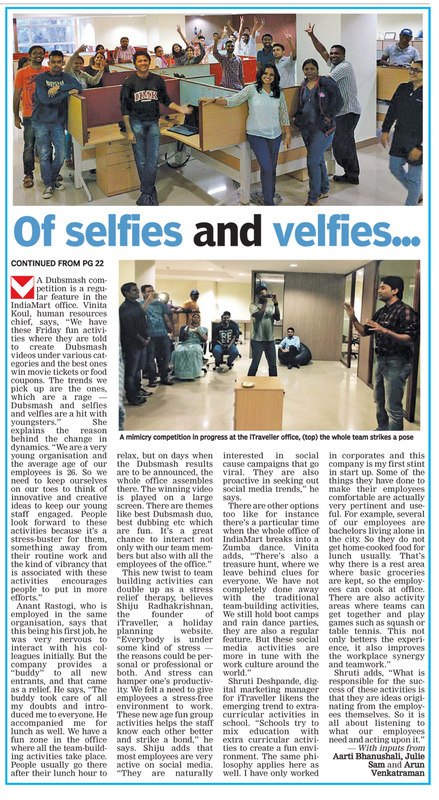 “Velfies give people a platform to express and personalise. Unless you are a skilled writer or speaker, very few can put their point across eloquently. With velfies, your face is out there, as are your expressions, body language and intentions. Hence, it adds more clarity in communication,” he says. This new twist to team building activities can double up as a stress relief therapy, believes Shiju Radhakrishnan, the founder of iTraveller, a holiday planning website. “Everybody is under some kind of stress —the reasons could be personal or professional or both. And stress can hamper one’s productivity. We felt a need to give employees a stress-free environment to work. These new age fun group activities helps the staff know each other better and strike a bond,” he says. Shiju adds that most employees are very active on social media. “They are naturally interested in social cause campaigns that go viral. They are also proactive in seeking out social media trends,” he says.